Once again good people, I lace the shoes for charity. 5 years ago, I approached the New York City Marathon with my only real injury in my running career (knock on wood!). Knowing that I could not achieve a new fast time, I decided to change the focus of my running from myself to others - the day would not be about my usual crazy collection of personal goals; it would be about kids. And thus the annual fund raising campaign was born. We raised $10,000 and have not looked back since. Each year, we have raised between $10,000 and $20,000 around one or more races. Last year was a double run around the LA Marathon and the London Marathon which allowed me to raise money for both US and UK charities. This year is about a crazy five weeks where I am running three marathons and two half-marathons in five different states. Add to that runs in five other states as part of my normal training. Five races. 104.8 race miles over 5 weeks. For those wanting more details, read on. Hard Sell: Darth Vadar says you will donate or else. Each of these is close to my heart, and I am proud to be pounding the pavement and internet for them all. So, why five races in five states in five weeks? Well, actually, this is pretty much happenstance with each set of events being scheduled independently from one another. Only upon deciding how to write this blog post did I realize the madness. 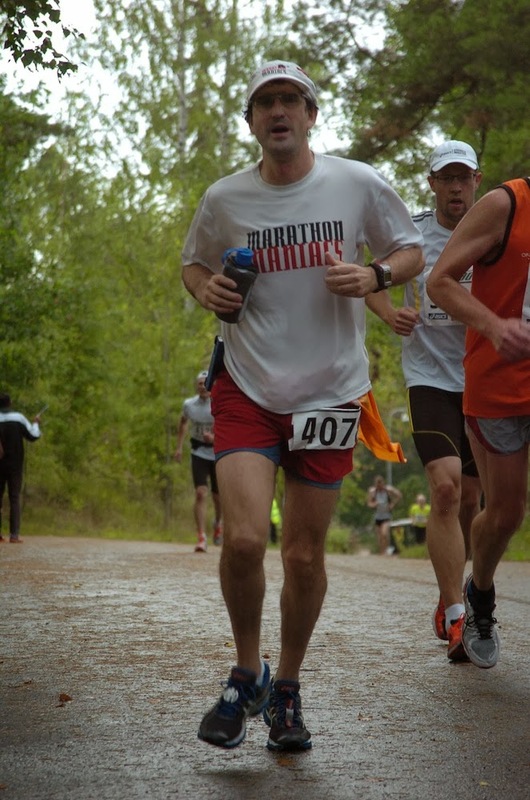 What else would you expect from a Marathon Maniac and aspiring 50 State Marathon Club Finisher? But ultimately, this is mostly about because I can. I run because I love it. I run because I can get to these neat places and because I like meeting people on the course. (One runner recently told me I had great spirit.) I run to lead a healthy lifestyle. I run to relax and to get pumped. I run to be unique and to be part of a community. I run. However, I make sure to run when others cannot. Or when my running can help them achieve their dreams. Or to fulfill dreams that they can no longer fulfill. I love sharing my running, and judging by the reactions, other people still like hearing from me about them. If we can come together and make our lives better, then maybe we can do so for others too. Running is how I do that. I find solace and excitement and meaning in each race. That's why I run. And why I run for charities. Let me tell you about the three for this year's fund raiser. The Alliance for Children's Right is my local charity. Focused primarily in Los Angeles, the Alliance provides legal services for parents looking to adopt children and for children in the foster system. They set up mentors (my friend Pamela has found this rewarding for years) and help teach kids about how to get ready for life. These Survival Saturdays are awesome groups events. The leadership of the Alliance is amazing, and I've been fortunate to be a Friends of the Alliance Committee member for a few years. We lead a group of dedicate Alliance supporters in various events including Dinner with Oscar with Friends. If you are interesting in volunteering or being involved in this LA charity, please let me know. Hit kids-alliance.org to learn more. On the global front is the amazing Children International. CI is a non-denominational charity based in one of my family cities, Kansas City. We sponsor 4 children in the Philippines. In 2011, I capped my 7 continent marathon goal by visiting the CI facility in Chile two days after the final race in that same country. It was a very moving experience that really brought into focus what CI does on the ground in each of its regions. I saw their medical clinic and got to speak to parents and grandparents who have kids supported by CI's donors. The staff their was wonderful to me but more over obviously a fantastic team dedicated to helping others in their neighborhood. For this marathon fund raising, we have designated the money to a specific cause. This year's program is "Point. Click. Learn" - a computer training program in the Philippines providing impoverished youth with the basic computer skills to move forward in life. From the basics to software workshops, students are just a click away from success. Personally, I have been involved with computers since my uncle introduced me to them when I was 10. I turned my immediate love into my career. I imagine the same thing happening over 8,000 miles away. Helping others find this amazing tool and mastering it fits perfectly with my history. https://www.children.org for more information on CI. Lastly, as many of you know and have read on my blog, my new company, Oculus VR, lost one of its founders, Andrew Reisse. With the support of his parents, I helped establish a scholarship in Andrew's honor at his alma mater, the University of Maryland. Funds donated will help build an endowment to perpetually support students who embody Andrew's love of computers and the environment. The Computer Science department at UM celebrates its 40th anniversary next week, so this is a double good reason to support it. http://ter.ps/ReisseFund to learn about Andrew and his scholarship. I often think about Andrew when I am running. I am sure this weekend will be no different. Lastly, back to running and the Fab Five Fall Follies Fund - how did I plan this ridiculous 100+ mile 5-race challenge for myself? Point in fact, my 50 State goal (http://www.runlairdrun.com/2012/07/50-50-foresight.html) led me to schedule the most mad part of this madness - a back-to-back marathon weekend here in New England where I am writing now. Saturday, October 12 (tomorrow as I write) will find me running the ING Hartford Marathon. Then, I shower and jump in the car to drive 2 hours to Newport, Rhode Island for the United HealthCare Marathon. Two days, two races, two more states (22 and 23 if all goes well). Trying to complete the 50 states by the time I am 50 - July 2017 - inspires a sense of efficiency, and this year the above marathons line up on the same weekend. Two small states and one long weekend. I've been eyeing these days for over 11 months. About 6 months ago, my friend Lyndsey announced her plans to run her first half-marathon in Denver. (She lives in Fort Collins next to my lil sis Jen and family.) She asked me if I would run it with her, and I of course said yes. So, that locked in the October 20 event. Beginning in January 2012, I have run at least one marathon per month. As I looked at my September 2013 schedule this past summer, I saw that I could run a marathon in New Hampshire (Clarence DeMar Marathon, Keene, NH) about 2 hours from a conference I was attending at MIT. It seemed wiser and saner given how little I am home to combine my already scheduled east coast travel with knocking off state 21 and keeping my monthly streak in tact. I have some great photos I will post this week. Lastly, the LA Half-Marathon is October 27, and I can join the Half Fanatics (the Half version of Marathon Maniacs) by running a third half this fall. 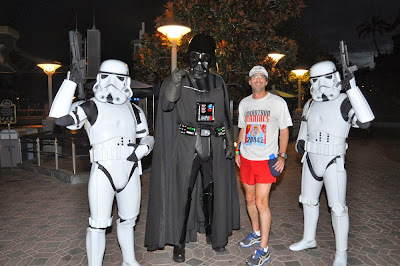 (Besides the upcoming Denver Half, I ran the Disneyland Half Marathon in early September. I will publish a write up of that fun weekend soon.) And it doesn't require a plane flight. And just to keep it fun, I have already run training runs in North Carolina, New York, Boston, Missouri and Kansas. If you decide to make a donation (or 2 or 3), I hope you will follow the spirit of this Fabulous Five Fall Folly - add $5 or $50 or $500 to your total. Or sum in the fun runs = $10/$100/$1000!!!! Here's the link to the donation page again and thank you all in advance. I run for me. I run for you. I run for those who cannot run - however they define running for themselves.